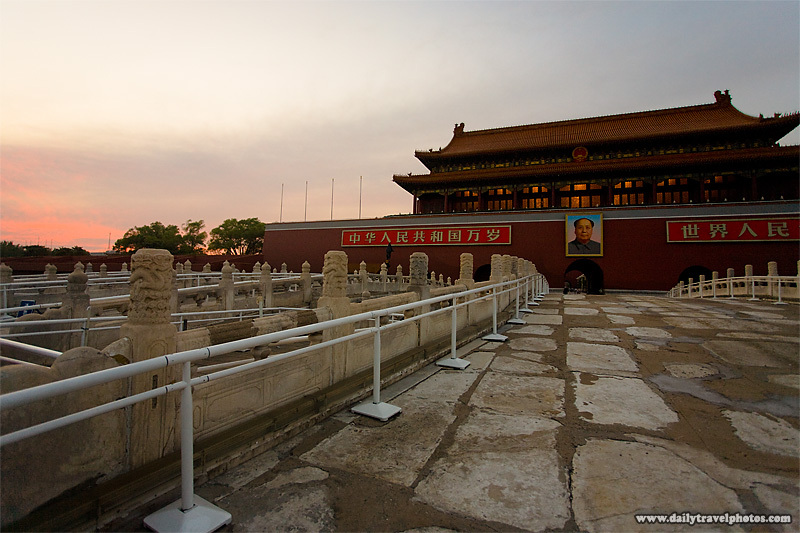 Sunset at the entrance to the Forbidden City (ARCHIVED PHOTO on the weekends - originally taken 2007/08/09). When everyone is smushed up against each other watching the flag lowering ceremony (behind me), you have the run of the Forbidden City to yourself, hence, a photo with nary a soul to clutter it up. 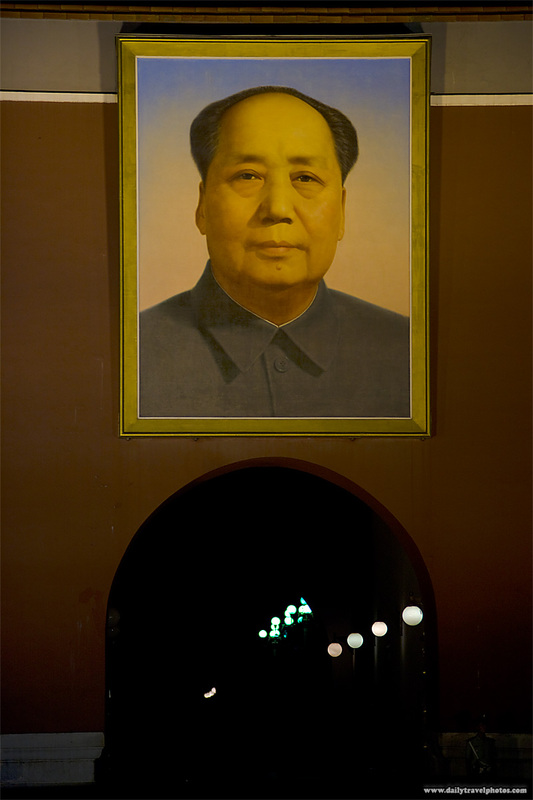 An over-sized portrait of Mao above the tunnel entrance to the Forbidden City (ARCHIVED PHOTO on the weekends - originally taken 2007/08/09). Accurate down to the conspicuous mole slightly above his chin.